Anntenisha, 19, was one of Kids Rock Cancer’s first rock stars. 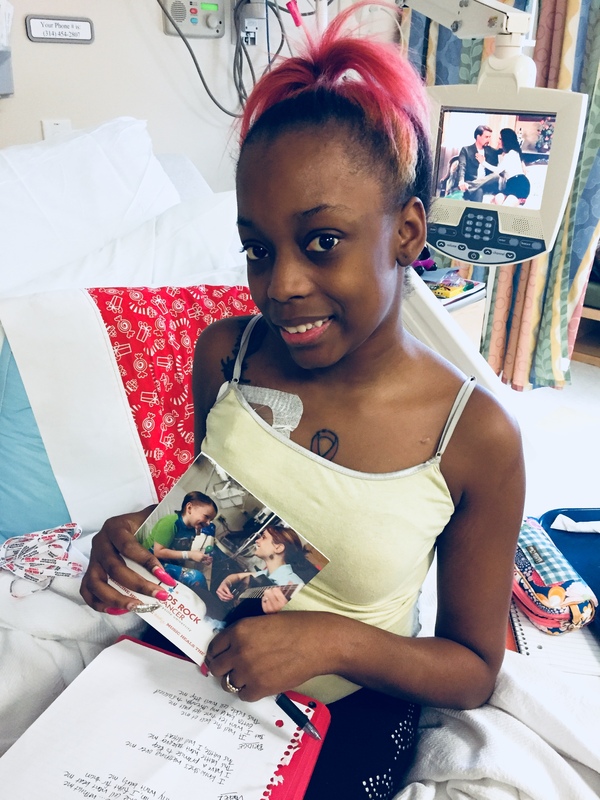 Since 2010, when the then-11 year old became the program’s 23rd participant, she has since written several songs while continuing her fight with sickle cell disease. 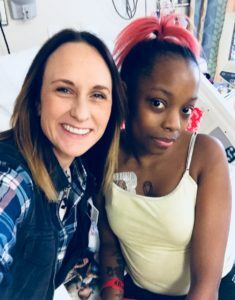 Writes Kids Rock Cancer’s senior music therapist Tracie Sandheinrich, “Anntenisha’s latest song is a true anthem. Our recent songwriting session wasn’t a new process, but one that has definitely changed now that Anntenisha is older. Her song, “Never Get Up,” is a promise to fight not only for herself, but for her support system. 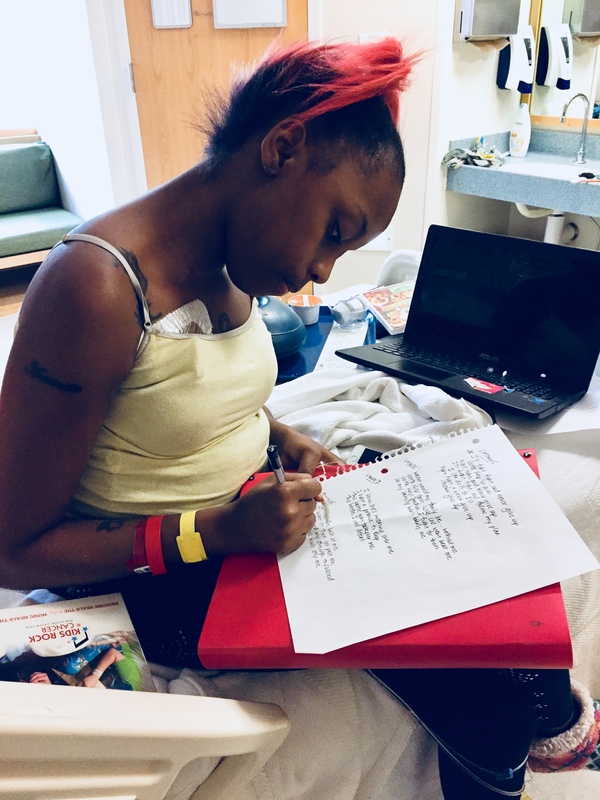 The lyrics and message of perseverance were written completely by Anntenisha, but performed and recorded by her music therapist at Anntenisha’s request.